Hello! I am back with my gorgeous friend Ashley from Sincerely Miss Ash to show you how we are styling our leopard leggings. I love it when you get to see how two different people put their individual style spin on a similar fashion item. I love how Ash dressed her leopard leggings up with a total chic-ness that would be perfect for date night or an evening out. Her booties are super fab and I love her tunic/sweater dress over them to keep it toned down but ultra-chic in the same. Love it girl!! 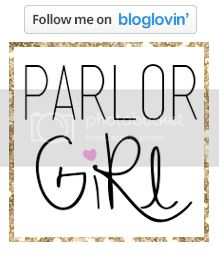 Make sure you stop by her blog and say hello as she has fun fashion and lots of cool beauty tips. For me, I had been curious as to how I was going to style these wild leopard leggings. When I was faced with holiday shopping ahead of me last Sunday, I knew they would be the perfect asset for a day of comfort and chic style. These Frye boots are seriously the most comfortable thing on the planet and smell even better than they look. (I grew up with a lot of horses and they remind me of the smell of my old saddles.) I then raided the hubs closet for a longer tee that was a little too baggy, so I tied a knot and allowed it to still cover the booty in fear of looking like Peg Bundy ;] (Confession: I LOVE her as Gemma in SOA. Obsessed!) Added a few jewels, my favorite ball cap, readers and off I went! 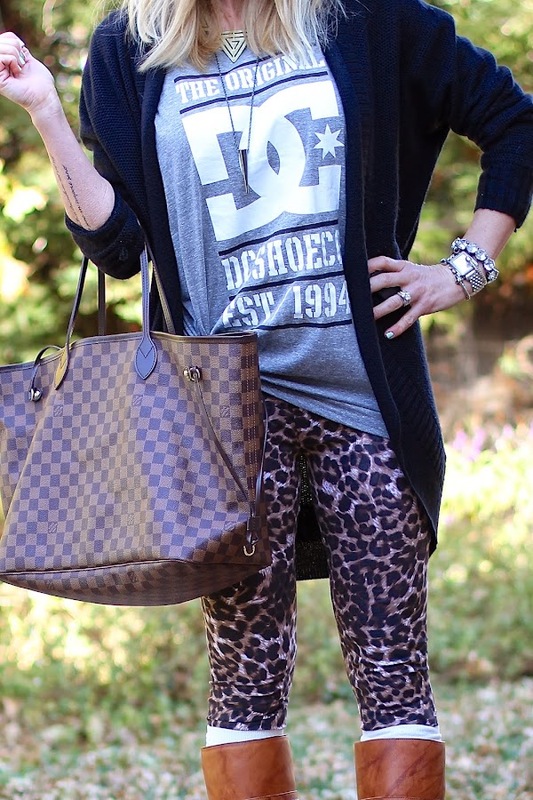 Would you wear leopard leggings? How would you style them? Ah I LOVE this look girlie, it was a tone of fun once again collaborating with you, I always love your spin on outfits!!! Have a lovely day girlfriend!! This is such a fun look! I love how it turned out!! I love your look! Leopard print is perfect, especially for this time of year! I love the sun glasses too! girl I am loving how you styled your hub's Tee and SF giants hat! GO GIANTS! You made your outfit looks so sporty and cute. Looking so cute !